None of the rumors seemed to be more realistic than about the expected launch of Apple Glasses. Moreover, a spokesperson from the Cupertino based company also confirmed that Apple is in development of its first AR Apple Glasses device. 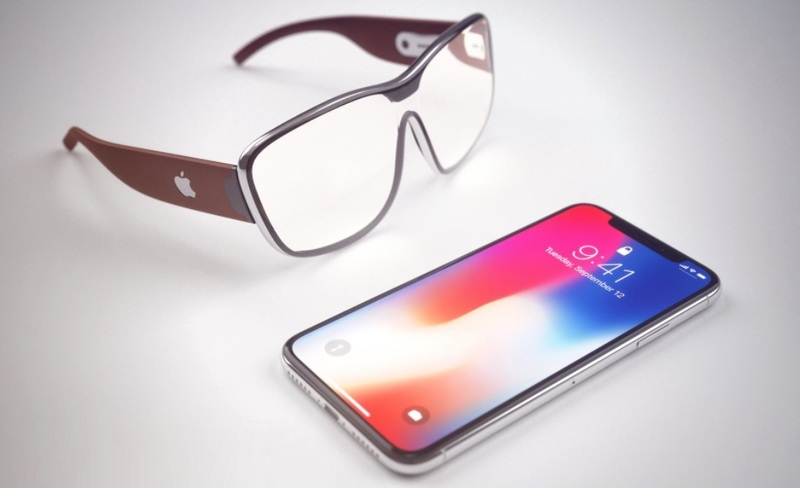 As per reports, the upcoming Apple Glasses will look very much like the normal eyewear but will be equipped with some of the really advanced features such as Bluetooth, camera, chipsets and other hi-tech features like sensors. It seems Apple has been cautious about the look of the glasses as other company products, for example, Google smart glasses were not so favorite with the public because of its technical kind of look. What we can expect from Apple Glasses? Just as Apple smartwatch bands, you can change the glass arm with a color of your choice. Hence, different colored arms as per the place you are visiting. The glass arms would also be fabricated with a luxe material and we can expect the arms to sport a soft leather in order make the glasses more comfortable to wear. There would also be sensors and tap tic engine and it could also include battery and chipsets. Hence you can interact with glass by tapping on the arms. Reports about Apple tapped one of its metal casting suppliers for building its AR glasses gives a strong indication of Apple Glass Frame being made of high-quality material. Moreover, sides of the frame could also consist of sensors, camera and wireless antennas that could make it work like a smartphone. The notch on the front of the frame could house ambient environment sensors and could sense immediate surrounding temperature. As per leaks, Apple would keep the design of glass close to a normal eyewear because earlier models such as Google glass were not so popular because of its goofy kind of looks. Moreover, it’s not the design but the features which make the gadgets successful among the masses. The Augmented Reality factor could come into place here with help of tiny micro- projector fitted in the glass frame. We can expect color changing lens and this way Apple Glass could be used as Sunglasses as well. Moreover, the glass material can be scratch resistant. A good relationship between Intel and Apple can give us an eye-safe laser for projecting an image directly onto the retina. Hence, Intel’s Retina projecting technology can be used. As there is not much space on the glass to give port for charging, we can expect most likely that Apple Glass would be charged wirelessly like Apple watch does. The glass could come with charging base that uses Qi standard. The base would be used multipurpose for charging the glasses as well as storing them safely. The charging base would also be lined with ultra-soft microfiber to ensure that lenses don’t get scratched. Apple Glass could also be charged with wireless charging coils embedded around the metal frame while at the base. There are chances of the small charging port on the glass as well. As per rumors, Apple Glass will be a standalone device separate without support from iPhone or any other Apple device. It will be having its own app store and just as iPhone runs on iOS, Apple Glass will run on ROS supporting Augmented Reality. When can we own an Apple Smart glass? While there is no confirmed date as of now but as per Bloomberg sources, Apple has adopted aggressive policies in order to speed up the process of launching the glasses and we can expect the device to be ready by 2019 and possibilities of shipping by 2020.Reportedly, Apple glasses could also consist of inbuilt Siri and display maps and text and video. 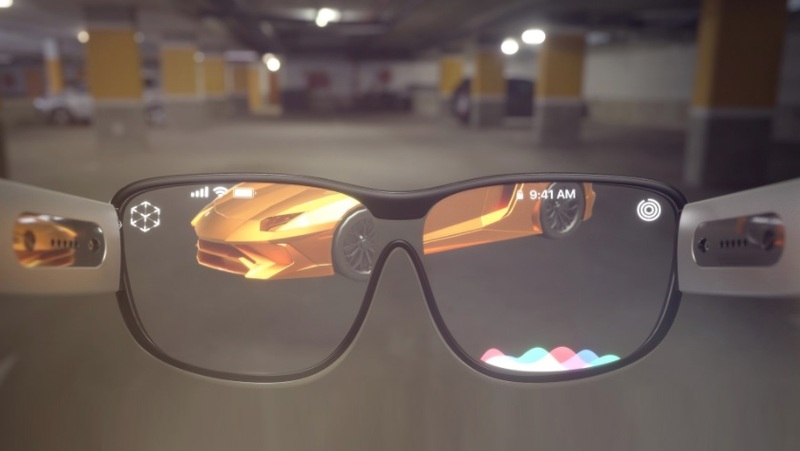 Well, the above-mentioned info is only based on Reliable rumors, what we can term as but the features of the much anticipated Apple’s AR glasses could only make more anxious for the actual AR Apple Glass experience. So, folks, Smart glasses could no longer only be a thing of James Bond movies and looking at the cost, we can plan to own one for ourselves.